Our skin encounters environmental pollution, UV radiation, sun exposure, dust and many more. Sometimes, just a day out on the streets of Metro Manila makes you feel like you’re caked with dust and dirt. These factors combined with the oxidative materials in the body that reduces the amount of Vitamin E in the skin which can also cause the formation of free radicals. I am a daily commuter person. From full time job to blog events, I used to be on the road for more than 2 hours in just one way and so no doubt that I am really exposed to dirt that makes me look stress and results in dry and dull looking skin. Lotions and moisturizers aren’t enough to make your skin healthy and glowing. Remember that we do have lots of stressors in life that we can’t actually prevent such as the environment. Few months ago, I already had a collaboration on this brand and I must be honest that their products really deserves a good review. ATC’s products are already part of my beauty regime most especially this Vita-E which really helps my skin to stay healthy, youthful and glowing. Vita-E contains 400 IU of vitamin E, an antioxidant that effectively protects the cells against free radicals and gives our skin a beautiful, youthful and effortless glow. Vita-E works from the inside making you feel AND look great. 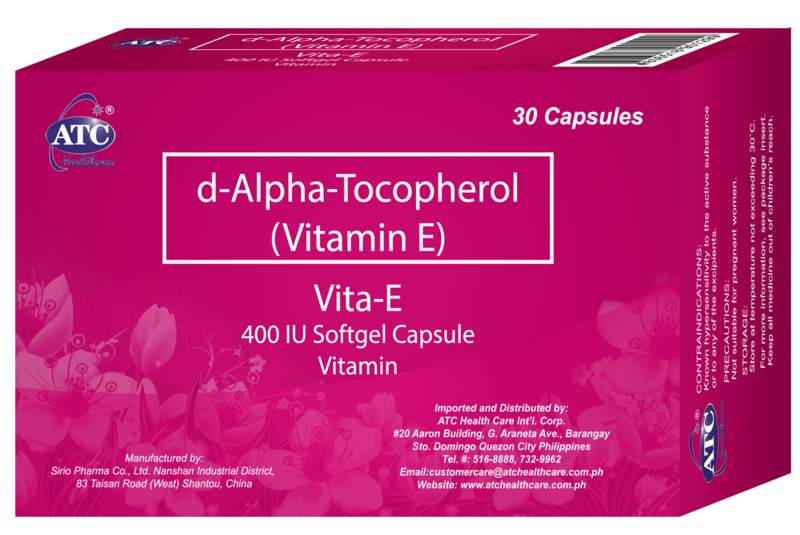 Not only it’s essential in maintaining the functions of our heart, blood vessels, and nervous system, Vita-E also gives the immune system a boost. Take care of what’s beneath and flaunt that effortless beauty with Vita-E. Go E for effortless beauty with Vita-E!